This lawman hits the weights hard to gain the upper hand in his dangerous profession. As with any police officer, the physical demands can be brutal when working in the field. Being in good shape can not only improve your job performance, but also save your life. To give himself an advantage over the bad guys, Miguel takes his training seriously and puts in the time at the gym to build a strong and fit physique that serves him well on the beat. "The exercises that help me with my job are deadlifts, squats and a lot of cardio," the buff cop says. "The deadlifts and squats help me with my lower back and legs so I'm able to sustain all the weight I'm carrying around throughout the day, and the cardio gives me the endurance just in case I ever have to chase an individual, or if I end up having to grapple with somebody, I have that stamina to keep up with them." 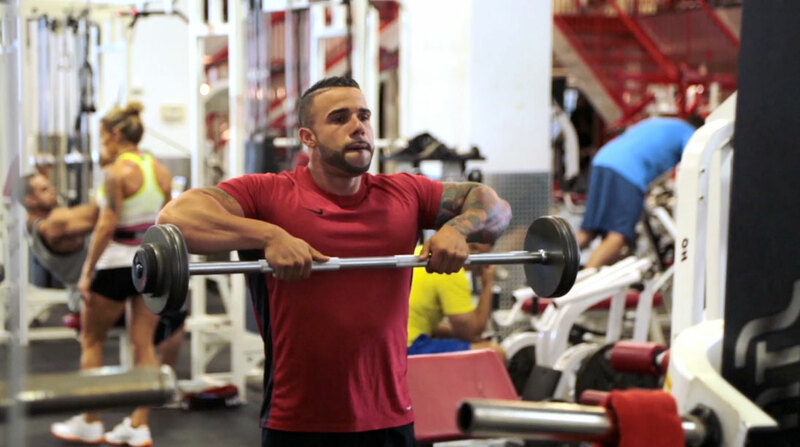 Since Miguel is a big guy who likes to lift heavy to maintain his muscular frame, this 5X5 heavy routine offers a unique way to maintain his size and strength goals.